Antonius’s All Star Alliance. 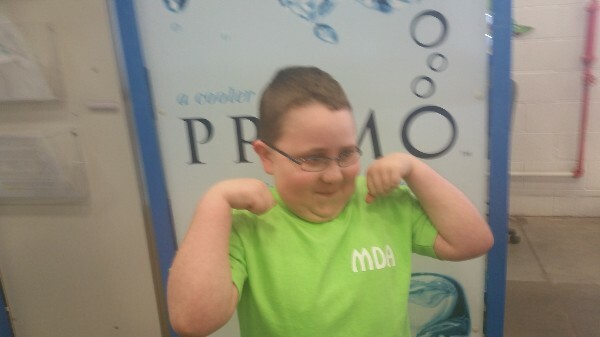 Our 11 year old son has Duchenne Muscular Dystrophy and our family is in need of assistance so we can provide quality of life because quantity has been taken away by this disease. We want to help our son in every way possible. His disease has no cure and his life expectancy is said to be in his early twenties. We want to provide quality of life for our son and make lasting memories for our family without the constant financial burden that prevents us from having even basic necessities at times. Our children mean the world to us, we will never give up on them. We are fighting a battle we ultimately cannot win. But we will never stop fighting. We can’t! This article was posted in Free, Medical and tagged CrowdFunding Medical Help, DMD, Duchenne Muscular Dystrophy, Duchenne Muscular Dystrophy Help, FREE Medical, gofundme, MD, Medical Assistance, Medical Help, Muscular Dystrophy.